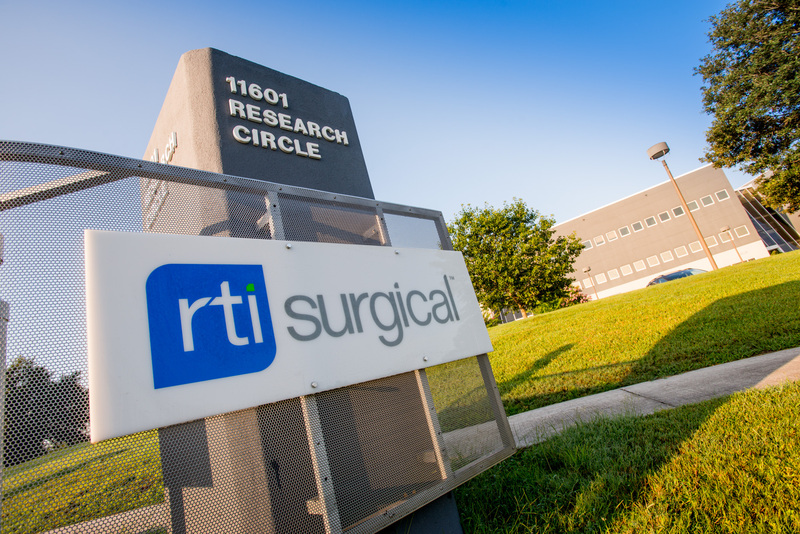 RTI Issues Open Letter to Stockholders - RTI Surgical Holdings, Inc.
ALACHUA, Fla. (May 24, 2016) – RTI Surgical Inc. (“RTI” or “the Company”) (Nasdaq: RTIX), a global surgical implant company, today issued an open letter to its stockholders urging them to protect their investment in RTI by voting the WHITE proxy card FOR the election of its seven highly qualified nominees: Peter F. Gearen, Brian K. Hutchison, Thomas A. McEachin, Jonathon M. Singer, Paul G. Thomas, Nicholas J. Valeriani and Shirley A. Weis. 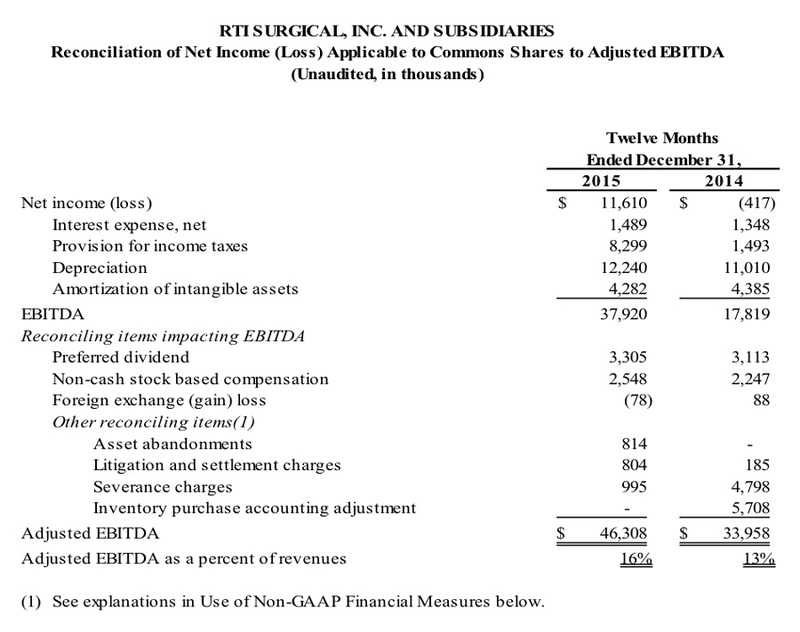 RTI Surgical’s (“RTI” or “the Company”) annual meeting of stockholders is only days away. To protect your investment, we urge you to vote the WHITE proxy card FOR the election of RTI’s highly qualified nominees: Peter F. Gearen; Brian K. Hutchison; Thomas A. McEachin; Jonathon M. Singer; Paul G. Thomas; Nicholas J. Valeriani and Shirley A. Weis. Messrs. Gearen, Hutchison, and McEachin and Ms. Weis are existing directors. We have outlined and are executing a strategy that we believe will enable RTI to become a $500-million-revenue company by growing revenue faster than the market, with gross margins approaching 60% and operating margins approaching 20% of total revenues, and enhance long-term stockholder value. This strategy is gaining traction: on a year-over-year basis, revenues grew 7.4% (9% on a constant currency basis), adjusted EBITDA* grew 36.4%, and adjusted net income* per fully diluted common share grew 109%. 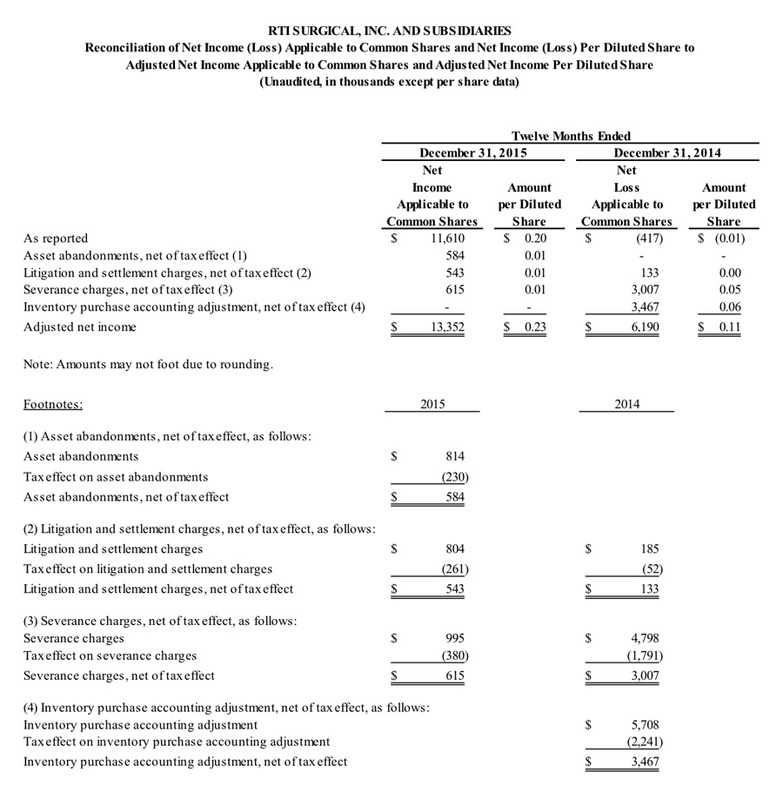 In contrast, Krensavage Partners, LP’s (“Krensavage”) has not presented any ideas for how RTI can increase stockholder value, beyond measures that RTI is already implementing or measures that would damage the company’s long-term potential, such as cutting investment in R&D. We believe that an unproven activist investor with no plan for RTI and less-qualified candidates presents considerable risk to our stockholders and the potential of your Company to generate sustainable value. The choice for our stockholders becomes clearer still when you consider that leading independent proxy advisory firms Institutional Shareholder Services (“ISS”) and Egan-Jones Proxy Services (“Egan-Jones”) recommend that stockholders vote the WHITE proxy card FOR all seven of RTI’s highly qualified director nominees. Several weeks ago, in an effort to avert this costly and lengthy proxy contest, RTI offered to appoint one of Krensavage’s nominees to the Company’s board. However, Krensavage rejected this reasonable settlement offer, preferring to pursue a self-serving proxy contest. We are disappointed that Krensavage has not been willing to engage on reasonable terms and has pushed ahead with a proxy contest to further its own interests at great expense to the Company and its other stockholders. Now, with only a few days to go until the annual meeting, we welcome the opportunity for all our stockholders to have a say in the future of their Company. It is critical that you vote the WHITE proxy card TODAY to protect your investment, and disregard any green proxy cards that you might receive from Krensavage. Stockholders who have previously submitted proxy votes in favor of the dissident's nominees or withholding votes from the dissident’s nominees can change their votes to favor RTI’s nominees by submitting the WHITE proxy card. Only the latest-dated, validly executed proxy card counts. This communication contains forward-looking statements within the meaning of the Private Securities Litigation Reform Act of 1995, including those statements regarding the further strengthening of our board when RTI's new director candidates are elected, our strategic plans to grow, expand margins and increase long-term value for all RTI stockholders, our financial goals, our progress towards executing our strategy, our expected growth in direct sales and our expected new products. These forward-looking statements are based on management’s current expectations, estimates and projections about our industry, our management’s beliefs and certain assumptions made by our management. Words such as “anticipates,” “expects,” “intends,” “plans,” “believes,” “seeks,” “estimates,” variations of such words and similar expressions are intended to identify such forward-looking statements. In addition, except for historical information, any statements made in this communication about anticipated financial results, growth rates, new product introductions, future operational improvements and results or regulatory actions or approvals or changes to agreements with distributors also are forward-looking statements. These statements are not guarantees of future performance and are subject to risks and uncertainties, including the risks described in public filings with the SEC. Our actual results may differ materially from the anticipated results reflected in these forward-looking statements. Copies of the company’s SEC filings may be obtained by contacting the company or the SEC or by visiting RTI’s website at www.rtix.com or the SEC’s website at www.sec.gov. This letter includes adjusted EBITDA and adjusted net income per share, non-GAAP financial measures that exclude certain amounts. These non-GAAP financial measures are not in accordance with, or an alternative for, generally accepted accounting principles in the United States. A reconciliation of the non-GAAP financial measures to the corresponding GAAP measure is included in the table below. Adjusted EBITDA and adjusted net income per share should not be considered in isolation, or as a replacement for GAAP measures. The Company believes that presenting adjusted EBITDA and adjusted net income per share in addition to the related GAAP measures provide investors greater transparency to the information used by management in its financial decision-making. The Company further believes that providing this information better enables the Company’s investors to understand the Company’s overall core performance and to evaluate the methodology used by management to assess and measure such performance.